It has been a rough winter so far. That means a lot of ice and salt, and a lot of plows. 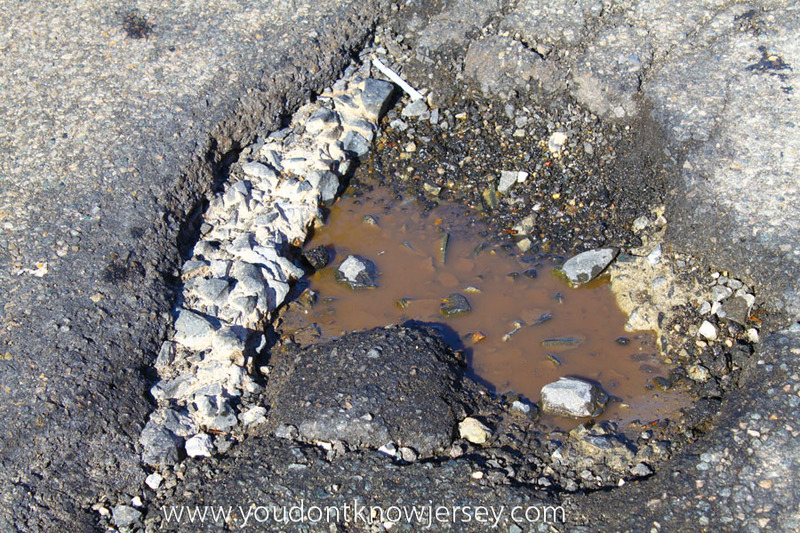 Put those things together and pothole season is here. It’s only early February and new ones are popping up all over the place. It’s like driving on Swiss cheese. I hate potholes. I never see them. Especially at night. And I always seem to hit the biggest ones. I see a small pothole and swerve…and immediately end up in a pothole the size of a large sofa. I just love running into one and it jolts the car so bad you feel it in your jaw. I see lots of flat tires and bent rims in our future. Do you have any idea what a new suspension costs? Neither do I but I bet it is expensive! Is it spring yet?